As recruiters, sometimes we get really busy. After all, it’s possible that once you put out a job description for an open position it opens the floodgates. You end up with hundreds of applicants. It’s incredibly difficult to sort through them all to find top talent. Unfortunately, with this mindset and lack of proper software, filtering through the applicants might seem impossible. You could even burn several bridges along the way. It’s important to understand that even though certain applicants aren’t right for this particular job, they might be perfect for another open position in the future. But, if you ignore them this time, refuse their plea for an interview, or ask them pointless questions that do not help you garner new information during a screening, you’re sure to run them off for good. What if you choose to get on good terms with these applicants instead? Below, you’ll find some information that points out several ways recruiters tend to close the door on future candidates without even realizing it. These tips will hopefully help you stop ruining future relationships between job seekers and your company, no matter how busy you are and how many applications you receive. Ignoring them. One of the quickest ways to show a job seeker that your company isn’t the best fit for them is to not return phone calls. It’s customary for someone to apply for a job and then make a follow-up call or email within a few days if they’ve heard nothing from the recruiter. Even if this candidate is not eligible due to lack of skills or experience, take a second to let them know. This will show them that you took the time to notice them. Failing to provide feedback. Sometimes, you do not hire candidates because of an unsuccessful interview. Whether they were too shy or uninteresting, make a point to let them know what it was that you considered unsuccessful during the interview. This feedback will help them in the future. It will make them a stronger applicant. Offering an outdated user experience. In this day and age, having a mobile website is essential for your company. If applicants are unable to easily access your website and/or apply online from a handheld device, you are providing them with a bad user experience. No matter how qualified they are for this job or one in the future, this problem will stick with them and they’ll remember it. Next time, they will skip over your company’s job opening. 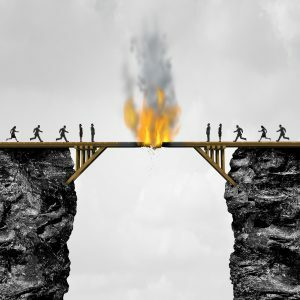 Burning bridges with candidates that didn’t get the job is detrimental to future recruiting. What if you need to rehire for this position in a pinch? It’d be nice to be able to call on these applicants, right? Remember, never tell an applicant they didn’t get the job over email. Always reject them via phone or in person. Most recruiters will choose to do this over the phone. That’s completely OK. You’ve probably already been following up with them via phone communication to this point anyway. It’s important to remember that all applicants should be given at least a moment or two of your time. Those 60 seconds or more might be all it takes to keep them on your good side rather than burning a bridge that could have led to a great fit down the road. We hope these tips help you improve your relationships with future candidates so that you can ensure a great experience for everyone, especially top talent. Consider Recruiteze, our online recruitment system for small business hiring and talent tracking. This powerful online recruitment system allows your job candidates to easily apply to your open job positions and be added to your database immediately. As an end-user, you’ll be able to also access resumes online and make changes quickly. Recruiting based on client needs has never been easier with your custom job board. It allows candidates and customers easy access to information and creates a level of professionalism expected in today’s marketplace. Online recruitment systems like Recruiteze can greatly help you manage your jobs, vendors, candidates, scheduling, notes and communication in one place. With this online recruiting software, all of your hiring metrics are accessible from anywhere in the world, as long as you have an internet connection. Try Recruiteze for free today! If you have any questions about easy online recruiting or are interested in our enterprise package that offers unlimited access to all our services contact us today! 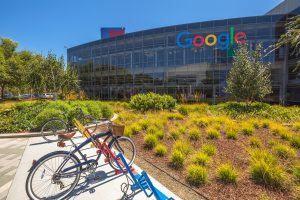 Want to Work for Google, Microsoft, Apple, or Facebook? Here’s How! Most people use Apple, Google, or Microsoft products and Facebook on a daily basis. Have you ever thought about working for one of these companies? If not, it might be time to start. It’s obvious that these companies are successful. You see the names every single day. Why not try working for them? Here’s how! If you’re looking for the best applicant tracking system for small business hiring needs for your company, check out Recruiteze! Recruiteze is the number one recruiting system on today’s market. There are several tips that you can use to help you get a job with one of these companies. Always focus on your accomplishments, a resume should never have vague statements. Always get straight to the point and make sure your wording is used in a way that makes an impact. Don’t be scared of applying to companies like Google or Facebook. Yes, they’re used every single day by thousands of people all over the world. But, that doesn’t mean that you’re not good enough to work for them. Be fearless when it comes to getting out there and doing what needs to be done in order to be recognized. Once you’ve been noticed by one of these companies, be sure to practice interview questions. Rehearse with a friend or family member. You’ll be surprised at how well you do after you’ve rehearsed once or twice. Also, be sure to rehearse your story. Talk about your accomplishments, leadership and influence. Don’t be scared to ask questions, either. Be sure to prepare questions that you can ask these companies during an interview. Online job boards are a great way to make yourself known in the virtual world. Comment on professional blogs, industry forums and engage on Facebook and Twitter. You’ll be able to leave a digital footprint that leads back to your online portfolio. That way recruiters are able to identify you and remember you as you often engage with them online. Online portfolios are one of the most beneficial ways to get recognized. Even if you’re not trying to get a job with one of these highly successful businesses, an online portfolio will help you in your overall job seeking efforts. Be sure to add all of your major accomplishments, experience, education and a description about yourself. Don’t leave out accomplished work outside of the professional world, as well. Resumes are required for most companies when applying for a job but they don’t have to be an entire novel. Instead, make one that is short and straight to the point. Most recruiters only look at resumes for a minimum of eight seconds to a maximum of 15 seconds. Then, they put it in the yes or no pile. Try to stick with one page and make sure it is impressive and outstanding. Sometimes, starting a small company in the technology world is a great way to get yourself noticed. If you have initiative, creativity and leadership skills, why not develop a software company? You can hire or outsource depending on your needs. Try visiting job fairs and tech events. These are great ways to network and get personal references. Sometimes, using job boards online is not as simple as it sounds. Being personable and being able to see and talk to people face-to-face means a lot. We hope this information helps you get your foot in the door with one of these major corporations. It’s pretty exciting to think that you can work for a company that is so recognized all over the world. However, it won’t be easy. Hard work and dedication is the key. Remember, be fearless, focus on accomplishments, create an online portfolio and get yourself out there and available. An applicant tracking system for small business hiring not only manages your recruiting, but it also keeps track of your talent and hiring decisions. The average job posting receives about 250 resumes, that’s a lot of resumes to filter, track, and manage in an efficient manner. With our online recruiting system, like Recruiteze, you can manage your jobs, applications, candidates, communication and hiring notes. We not only help you streamline your recruiting process, but we also give your candidates more confidence in your hiring process and company. Try Recruiteze for free today. Welcome back! Are you looking for a new job? Are you currently searching for a career path as a college student? If so, it’s important to take a look at the jobs that are leading the employment market. More new jobs are starting to become available for various business industry companies. Today we are here to talk more about the most popular business jobs available in various industries. In our previous blog about the top business jobs post we talked about loan officers, financial analysts and more. Be sure to go back and take a look when you can. Below, you will find even more business jobs that will be easy to find in 2017! If your staffing firm, or HR department is looking for new online recruitment systems, save yourself some headache by using Recruiteze. Recruiteze is the number one applicant tracking system on today’s market. Give it a try, for free, today! 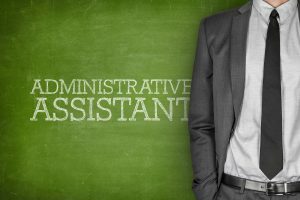 An administrative assistant might not make as much money as a compliance officer or financial analyst, but it is one job that continually needs filling. Every day, businesses are choosing to add an administrative assistant to their staff. From event planning, operational managing, maintenance work and more, this position is very diverse. Different businesses will have different needs. In addition, these assistants might also keep track of budgets and monitor spending. In 2014, 2.4 million people were employed as an administrative assistant. The BLS expects this number to grow by 3% in the next few years. New Jersey and Massachusetts are two of the states that have the most available jobs at this point. On average, an administrative assistant makes around $35,000 per year. Companies have to hire people and then make them happy if they want to keep them on staff. They also have to make sure their new hires are skilled and able to contribute to the company’s success. The best way to do that is by hiring a human resource specialist. On average, HR reps get paid around $62,000 per year. Many parts of California are the best paying cities in the US. Recruiting and training is the most important task an HR specialist has, but they also have tasks in compliance, managing current employees and more. Expected to grow by 5% in the next few years, this position requires at least a bachelor’s degree in education, human resources, training and development, computer science or instrumental design. Cost estimators are responsible for estimating the cost of manufacturing in business industries. They’re also responsible for resources in labor, analyzing patterns and more. Job growth is expected to be around 9% through 2024. That is around 18,000 new jobs. Average yearly salary for cost estimators is around $64,000. Best paying cities including Midland, Texas and Anchorage, Alaska. Financial managers bring in a whopping average salary of $130,000 per year. These managers are responsible for coordinating accounts, financial reports, profit projections and cash flow statements. In addition, they’re responsible for managing the overall finances of major corporations and agencies. Expected to grow at least 7% in 2017, financial managers are detail oriented and great with communications. We hope this information helps you find a new career or choose a career path while in college. It’s important to understand the trends in the job market and get a good understanding of how the economy is looking now and in the future. Remember, if you need more information, be sure to visit back with our previous blog. The Best Online Recruitment Systems For 2017! Searching for new online recruitment systems in 2017? Need help with your daily online recruiting tasks? Consider Recruiteze! Recruiteze is one of the top online recruitment systems for small business hiring and high tech talent tracking. This powerful tool allows your job candidates to easily apply to your open job positions and be added to your database immediately. As an end-user, you’ll be able to also access resumes online and make changes quickly. Recruiting based on client needs has never been easier with your custom job board. It allows candidates and customers easy access to information and creates a level of professionalism expected in today’s marketplace. Conducting background checks in today’s competitive job market is important for several reasons. With unemployment rates at an all time high, it’s possible that many applicants might embellish their work history or hide various negative experiences. Some of these embellishments or omissions might be obvious to staffing agencies or hiring managers, but it’s still important to run a background check, just in case. Background checks are great for checking out an applicant’s work history, experience, and education, before scheduling them for an interview. Once an individual has been offered a job, these checks are great for criminal history or required level of clearance, should a government job be involved. Unfortunately, waiting on information from background checks can cost you a great deal of time and money. Oftentimes, the information can come too late, and applicants end up moving on. Staffing agencies and hiring professionals have the right to learn more about applicants, as they’re hoping to create a safe, productive workplace for current and potential employees. 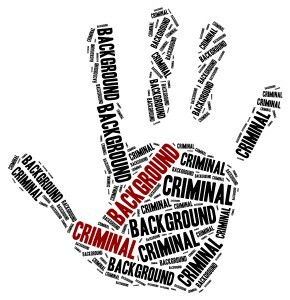 Thankfully, conducting background checks can now be conducted faster and more easily than you ever imagined! The benefits of using recruitment software are endless. Adding an integrated background checking system is even more beneficial and productive! Why spend time and money waiting on information or manually entering data when you can save time and money using these systems?! That’s why you should click here to give Recruiteze a try, today, for free! Recruiteze is free recruitment software that allows candidates to apply, and be added to your database immediately, in an online and user friendly way. You can access candidate resumes online and make changes quickly and easily. Tracking talent has never been easier with your included custom job board as well. It allows candidates and customers easy access to information, and creates a level of professionalism that’s expected in today’s marketplace. and Click here to try Recruiteze for free right now! I am one of the founders of this young and small startup company. We are a small energetic team here, very focused and driven to provide value to our customers. We take immense pride in our products and will do everything we can to deliver quality. Around the time we started working on the product, we also came up with the goals for the company. These are the 3 goals for the company – Product, Design and Service. These are not random goals, but are due to our experience using the various SAAS products in our everyday lives over a period of time. We have used some excellent products, which have had very poor customer service. We have used great products with poor design. We are also aware of products which do not have any of those qualities, but still available in the market. Each of these goals are carefully thought out, and for us to succeed, we feel we should deliver on all the 3 goals consistently. We are well aware that the Reformatting Service, though unique, is only a small part of the larger recruitment process. We have taken up this one aspect and perfected it for now, but our goal is to take up more of these mundane manual tasks and automate them for speed, profitability and consistency. 1. Product – We would like to build a compelling product which provides value to our customers. We would like to build a product that solves the problems of 90% of the customer base all the time. The idea behind the 90% is, we feel the other 10% are features that only a few organizations with specific custom workflows need. We will never be able to match feature parity, we have seen some extremely complex products in the Recruitment space, with a ton of features. We do not want to compete on features. We would like to implement the features that 90% of the people need in a simplistic manner. We are releasing this simplistic product, which is easy to use to begin with. We would like to evolve through feedback by building a community around us. We will be making rapid releases and you can expect at least one release every 2 weeks, to evolve continuously. We have a long roadmap for this product. To give you an idea of how far we have thought through this, here is our company’s vision statement “Interactive and personalized staffing solution through usage based intelligence”. This vision statement has to be distilled to make it more simple, but we have thought through a lot on how we would like to evolve. As you can see from the vision, it is about building more smartness to the recruitment process. We would like to use some of the Natural Language Processing and Machine Language Learning capabilities to build a smart staffing solution. 2. Design – We think Design is a very important aspect of a product these days. We are aware that people like usable products which are simple, we are also aware that design is an afterthought in a lot of Business applications. We will ensure that we provide simple interfaces which are self explanatory. We are still building help videos, since we would like to build a Self Service SAAS application, the reason being if we have to provide value, we also have to keep the costs in check. 3. Service – I touched on help videos in the previous section. Since we are a small team at this point, we would like to provide as much self service capabilities as possible now. But as we evolve, we would like to provide immediate customer service 24 * 7, because we feel access to a Tech support person should be as simple as a chat with a co-worker. We feel good customer service should not only be during signup, but there should be the same service even during a breakup. That is why we have a no-hassle Downgrade policy. All you have to do is go to the Billing page and click on Downgrade. No questions asked, we will downgrade. Also we will provide a backup of all your data in csv and zip files. This is based on the personal experience of the founders, where we have seen the pain to break up from some services. This is my honest write up to let you know that we value the trust you place in us by signing up and using this product. We will make every effort to win your hearts through our company goals of Product, Design and Service. As I have mentioned earlier, we would like to evolve through feedback, so please feel free to provide your valuable suggestions, feedback and questions to support (at) recruiteze.com.